Every now and then, I happen to chance upon a book I’ve never heard or took notice of online before while browsing the bookshelves of brick-and-mortar shops. Just So Happens is one such book. It was the cover which caught my attention as I was walking by it. I’m not exactly sure how to describe it but it has a sort of understated elegance that I found very arresting, and the next thing I knew I was already at the counter making my payment for the book. Considering how I do most of my book shopping online nowadays, this should tell you exactly just how eager I was to dig into it. I guess you could say that I judged this book by its cover and thankfully I was greatly rewarded. 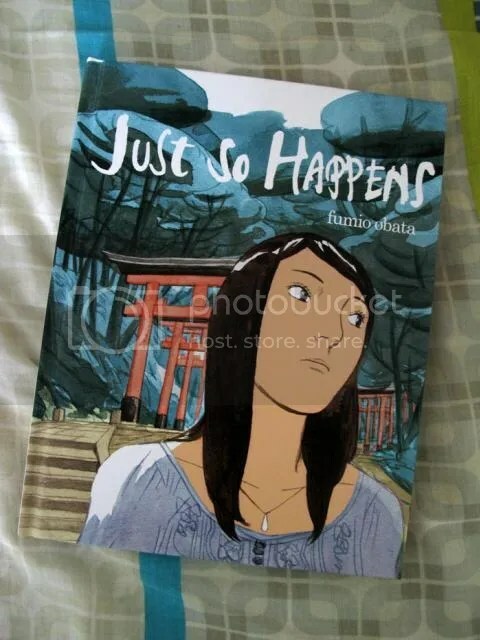 Just So Happens is a story told from the point of view of Yumiko, a young Japanese woman who has made a life for herself in London, where she is based. The design firm she started with her friends is doing well enough, she has a stable relationship with her English boyfriend, and her life is going pretty smoothly…until she receives a call from her brother to tell her that her father just passed away. She returns to Tokyo alone for the funeral and is forced to reexamine her relationship with her parents in the process, past and present. The Noh play is used throughout the story and like the reader, Yumiko isn’t sure why it pops into her mind at seemingly odd moments. I’m not keen on giving too much of the story away (as I hope most of you will go out and get the book after reading this review! ), so all I can say is that the realization she comes to in the end is liberating and cathartic, and she overcomes a problem that had blindsided her all this while. Funnily enough, I assumed that Fumio Obata was a woman (My lack of knowledge and awareness of masculine and feminine Japanese names being a huge contributing factor), but this only served to impress me further as I think he captured his character so well – I couldn’t tell that it was a man narrating a woman’s thoughts. 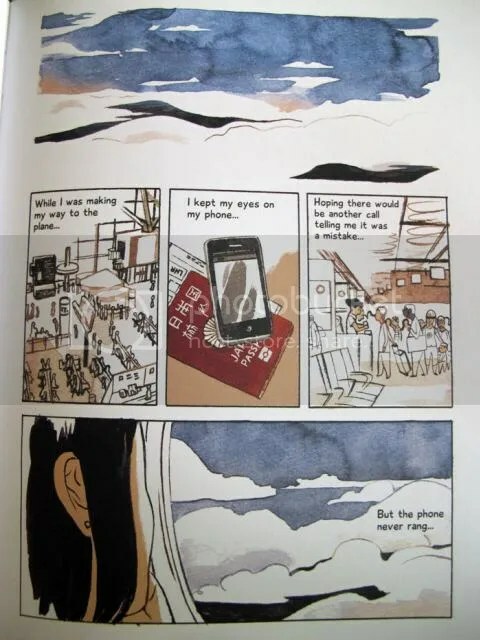 It also hits a little close to home for me as Fumio Obata knows how it feels like to be a stranger in your home country, from the outside looking in, as he left Japan to study in the UK at a young age (which he chronicled in a series of comics for the Kyoto Journal). Perhaps this is why he is able to articulate Yumiko’s thoughts and reactions when the things that have become second nature to her butts heads with the cultural norms in Japan. 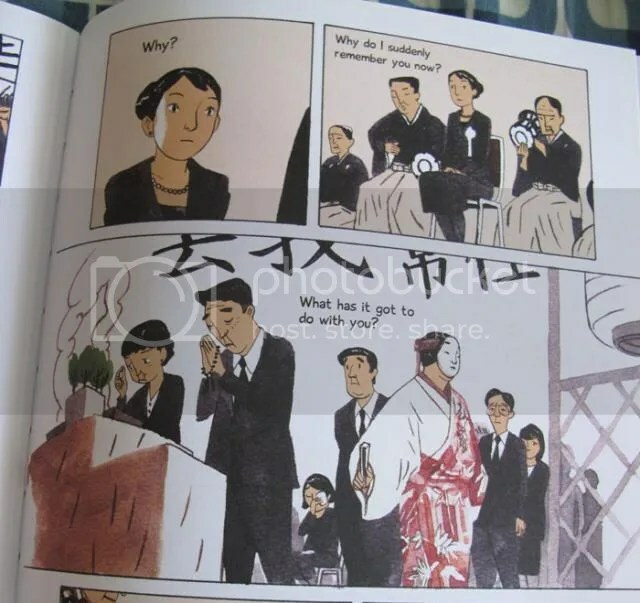 The artist in me tried to decipher the technique Fumio Obata used on the pages: Was it ink or watercolour washes? All I could tell for certain was that the flesh tone of the character’s faces was added in Photoshop or gouache/acrylic, as they were the only places where flat colours were used. I really love the effect that it creates. Honestly, I can’t believe I’ve not heard of him before reading Just So Happens. I admit I got a little obsessed trying to find his body of work after I was done with Just So Happens, so I hope that makes up for lost time. 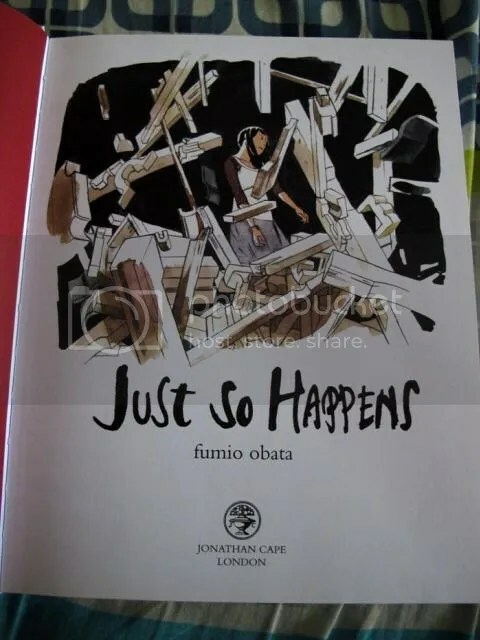 Fumio Obata’s blog is filled with interesting posts about his process, sketches and finished pieces, including some comics reporting he has done about the aftermath of the Fukushima nuclear disaster. His official portfolio website also has a nice sampling of his work, which was where I happened to chance upon an animation he did a while ago named ‘Shhh…’. Good stuff! Just So Happens should be available in most major bookstores. If you’re in Singapore, I know for a fact that Kinokuniya still has it! Step into the world of panels, pictures, and words. Welcome to IndieDoodle! Here you'll find coverage of comic events (mostly from Malaysia and Singapore), occasional interviews with comic artists, as well as comic reviews and such, all filtered through a Malaysian's eyes. You never know what might pop up from time to time too, so keep your eyes on this space! You can also follow IndieDoodle on Twitter.